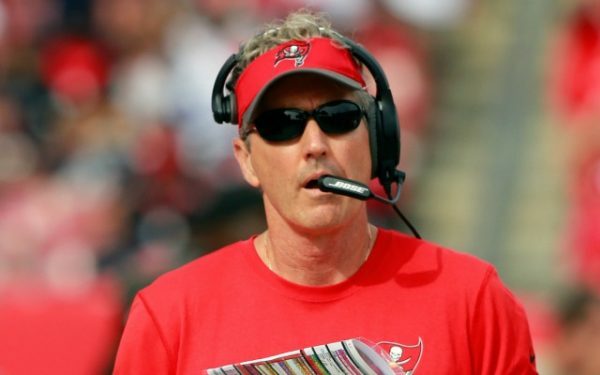 Dirk Koetter will return as the Bucs head coach in 2018, Rick Stroud of the Tampa Bay Times reports. The Glazer family, which owns the team, made the decision Friday afternoon and general manager Jason Licht informed Koetter that he would be back next season despite a 4-11 record which includes a pair of five-game losing streaks. 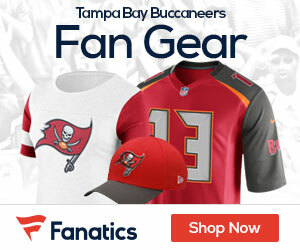 “Obviously, I’m very grateful to the Glazer family of their support,” Koetter said Friday night on his weekly radio show. “But I think that anything further on my status or the status of the staff or what we’re going to do in the future should wait until after the game on Sunday. Koetter is 13-18 in his two seasons as head coach but has been instrumental in the progress of third year quarterback Jameis Winston. In coaching a third season, Koetter is getting an opportunity not afforded to to former Bucs Greg Schiano and Lovie Smith before him. Among the reasons for sticking with Koetter includes the fact that Winston suffered a shoulder injury that forced him to miss three games and saw him struggle to play three others while hurt. Over the past four weeks since returning from his injury, Winston leads the NFL in passer rating (114.5) and yards per attempt (9.25) while ranking third in completion percentage (72.0), fourth in yards (1,221 and tied for the fourth most touchdown passes with eight. There had been much speculation in the past few months that former Bucs coach Jon Gruden, the star of Monday Night Football, was closer to returning to coaching and that he might considering taking his old job in Tampa Bay if it became available. Gruden was inducted into the team’s Ring of Honor on December 18 as the Bucs lost to the Falcons 24-21 on Monday Night Football. A year ago, Dirk Koetter went 9-7 and the Bucs missed the post-season by the third tie-breaker to the Detroit Lions.